Lock in a great price for Villa Welcome – rated 8.5 by recent guests! Amazing breakfast! Nice staff. Generally good value and clean room. The bed was very comfortable. The room was warm and clean and the bed cosy. 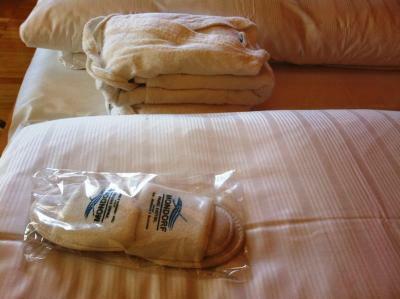 Pillows are nice and shower gel of good quality. The room is quiet and the environment seemed safe. 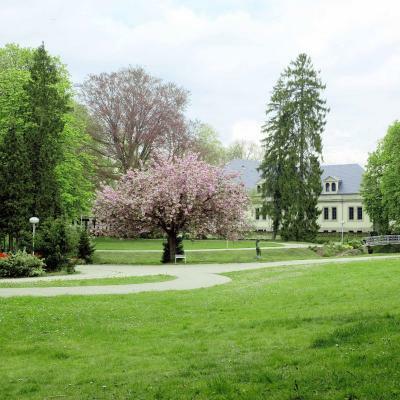 The hotel closed to the thermal bath and could use the facilities of the fitness centre. The breakfast was also great. The Villa Welcome is located next to the Domaine Thermal. By staying at the Villa Welcome you also have access to the pools, sauna and other facilities at the Domaine Thermal Spas. The hotel itself is very clean and rooms are a good size. The bed's are comfortable and the room is nicely decorated. The sports centre, which I already know well, is as always a delight. Especially the personality of the trainers in the fitness area, super. Zeer comfortabele kamer. Rustig gelegen in apart gebouw naast groot hotel. 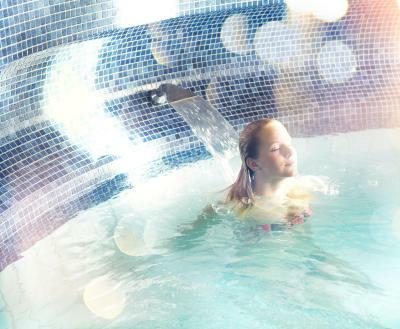 Toegang tot volledige spa en wellness inbegrepen. Je moet wel een kort eindje over straat/parking voor toegang tot hotel voor spa en ontbijt, maar stoorde mij niet. Geen parkeerplaats vlakbij de deur, maar wel voldoende gelegenheid dichtbij op openbare weg of parking hotel. accueil- propreté- infrastructures - soins spa de grande qualité - espaces de repos nombreux et confortables (sièges ergonomique) et aussi l'aspect 'soins para-médicaux' possibles (pour un futur séjour) - merci! Villa Welcome This rating is a reflection of how the property compares to the industry standard when it comes to price, facilities and services available. It's based on a self-evaluation by the property. Use this rating to help choose your stay! 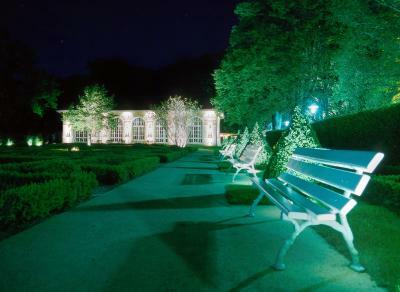 Villa Welcome is located on the grounds of the Mondorf Thermal Domain Spa, a spa and wellness facility that is over 5.500 m2. 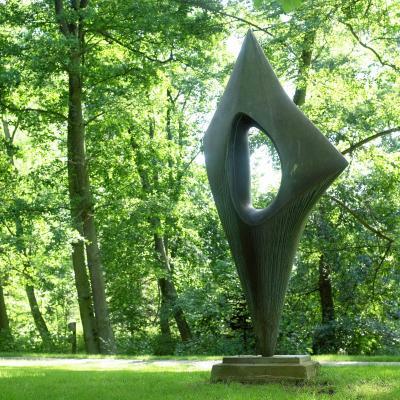 It is one of the largest wellness centers in Europe. 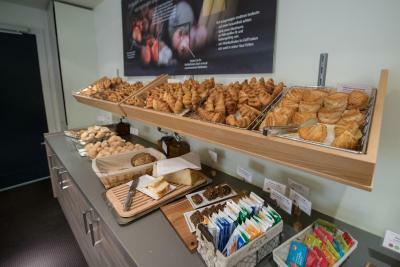 It also features free WiFi is available in all areas and on-site private parking is possible free of charge. All of the rooms in the villa feature warm colors and come equipped with a flat-screen TV with cable channels and a spacious bathroom with a shower. 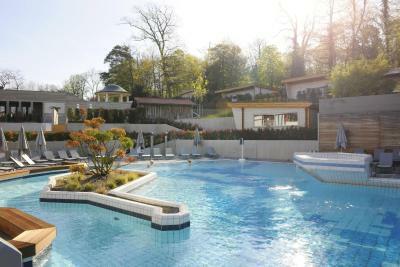 Rooms include free access to the Mondorf Thermal Domain Spa. which guests can make use of during their stay and through the day of check-out. The spa is located 50 feet from the accommodations. 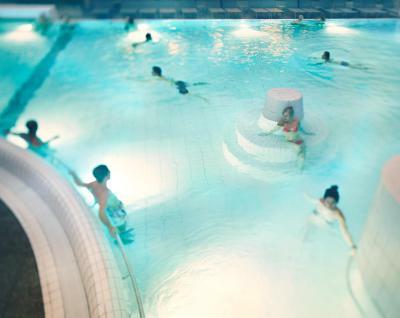 The Mondorf Thermal Domain Spa features thermal basins at 36°, 18 types of saunas, multiple hammams and JacuzzisⓇ. It also features spacious, quality sports and muscle building facilities. 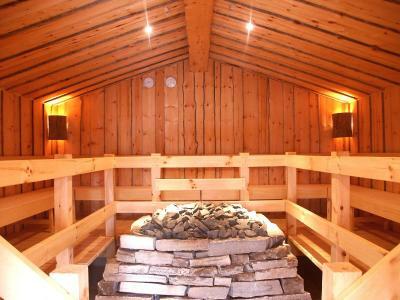 The thermal water that comes from the springs in the accommodations is know for its healing properties. The wellness center also offers customized programs created by nutritionists and dietitians, doctors, physiotherapists, and sport coaches. 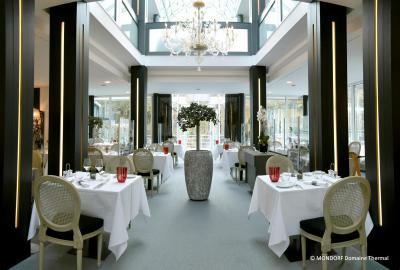 There is no restaurant on site, however guests can enjoy the restaurants in the Mondorf Parc Hotel, which are 50 feet from the accommodations. 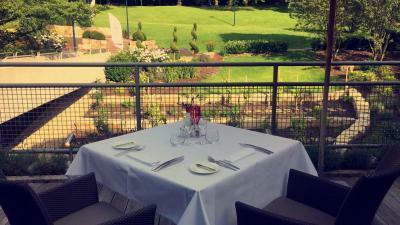 The Mondorf Parc Hotel features 3 restaurants. Brasserie Maus Kätti specialized in dietetic menus and features a terrace. 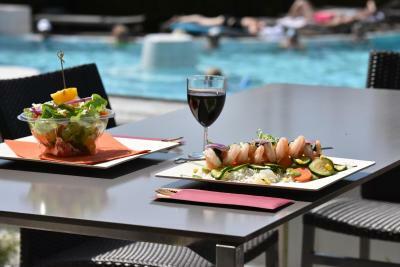 Restaurant De Jangeli features elaborate and bistronomic meals made with seasonal produce, while Chalet Am Brill offers traditional French menus. 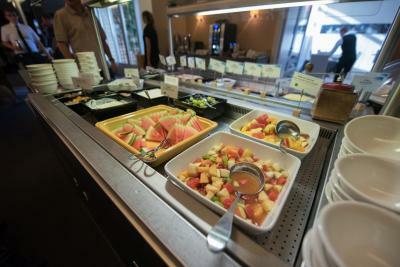 Breakfast is also served in the Mondorf Parc Hotel. 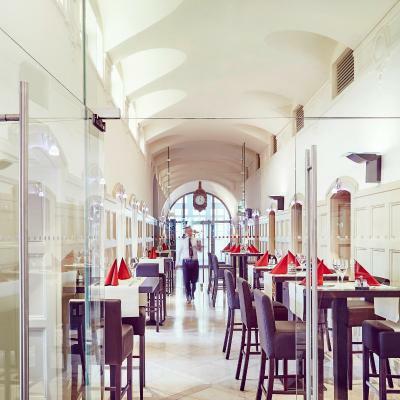 Trier is 24 mi from Mondorf Parc Hotel, while Metz is 27 mi away. 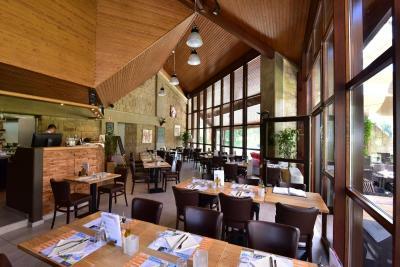 The nearest airport is Luxembourg Findel Airport, 9.3 mi from the property. 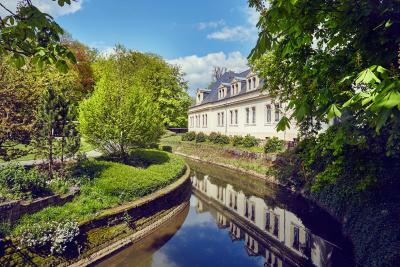 This property is also rated for the best value in Mondorf-les-Bains! Guests are getting more for their money when compared to other properties in this city. When would you like to stay at Villa Welcome? 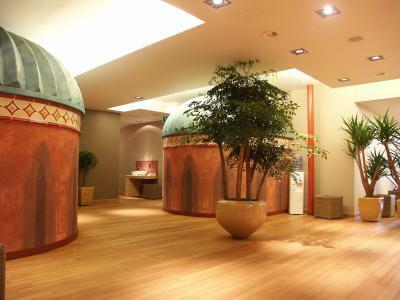 This room includes free access to Mondorf Thermal Domain Wellness & Fitness, which features thermal basins at 36°, 12 types of saunas, multiple hammams and Jacuzzis. It also features spacious, quality sports and muscle building facilities. 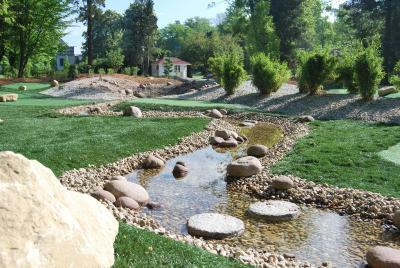 The thermal water that comes from the springs in the accommodations is know for its healing properties. The wellness center also offers customized programs created by nutritionists and dietitians, doctors, physiotherapists, and sport coaches. 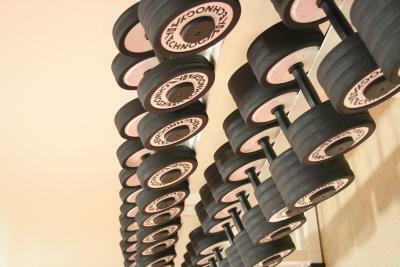 The Wellness & Fitness area is located 66 feet from the accommodations. This room includes flat-screen cable TV and a mini-bar. The private bathroom is equipped with a shower and provides slippers and free toiletries. House Rules Villa Welcome takes special requests – add in the next step! Villa Welcome accepts these cards and reserves the right to temporarily hold an amount prior to arrival. 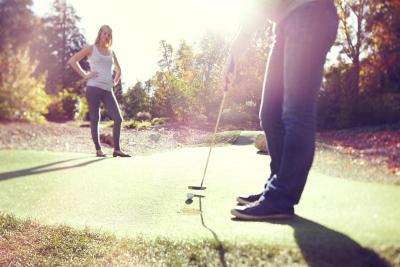 Guests are kindly requested to note that the on-site wellness area is only accessible for guests aged 16 years or older. 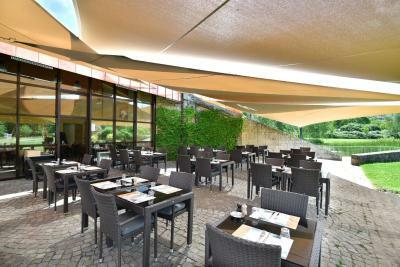 Please note that breakfast is not served on site but at the Mondorf Parc Hotel, located 50 feet from the accommodations. The bed was a nightmare. I suffered from severe back pain sleeping on it. We were put into a room that obviously is used by only one person normally, and I had the mattress next to the telephone that had been most used. It was completely worn down, and the slats cut into my back. When, after suffering for two nights I complained, can you believe it: a second thin mattress was lain on top of the faulty one, as if I was in some camping site! Incredible. No apologies, no compensation!! That was a shock. I was exepecting a kettle for that price and room service in the after noon. That was not the case. We had booked 2 rooms and asked for them to be adjoining rooms or at least next to each other as we are a family of four. We had an email back from the hotel via booking.com confirming the rooms were next door to each other. However, when we checked in we asked again if the rooms were next door to each other we were told they weren’t but the were on the same floor! We did check the rooms but they were at different ends of the floor, albeit a small floor of around 5 rooms but we didn’t want the children that far away from us. When we went back to reception to ask for rooms next door to each other, we were told that they only way we could do this was to pay about €250 more per night and stay in the Mondorf. There was no offer to reduce the price even though it was the hotels error and when we asked if there was anything the hotel could do, we just got a no. We spent that night looking for another hotel and we checked out the next morning, a lot out of pocket. Really really poor customer service. The hotel should state clear the check in counter was located in the Parc Hotel in the confirmation. We spent time to find the Villa as the navigation system in the car could not locate the Villa with the given address. Room in the attic was incredibly hot. They had no a/c and when we asked for a fan, we were told there were none. Spa entry and breakfast room is 100m away and you have to go outdoors. If you want to be closer, you have to book in the hotel itself. The belle epoque villa is nice but basic.